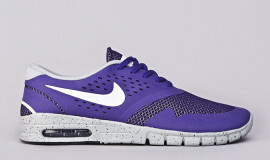 Today, Nike SB has unleashed a wild new pack for their insanely popular Stefan Janoski Zoom model. 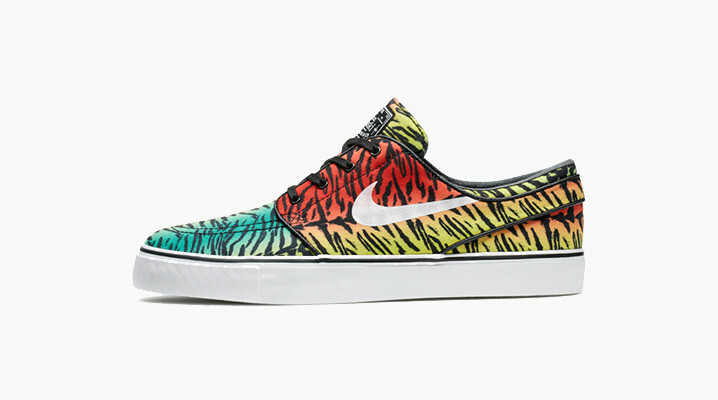 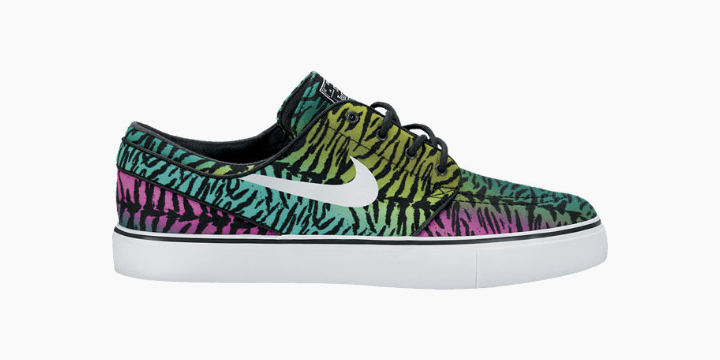 The Tiger Stripe pack features a trippy gradient fade canvas upper underneath an allover tiger print. 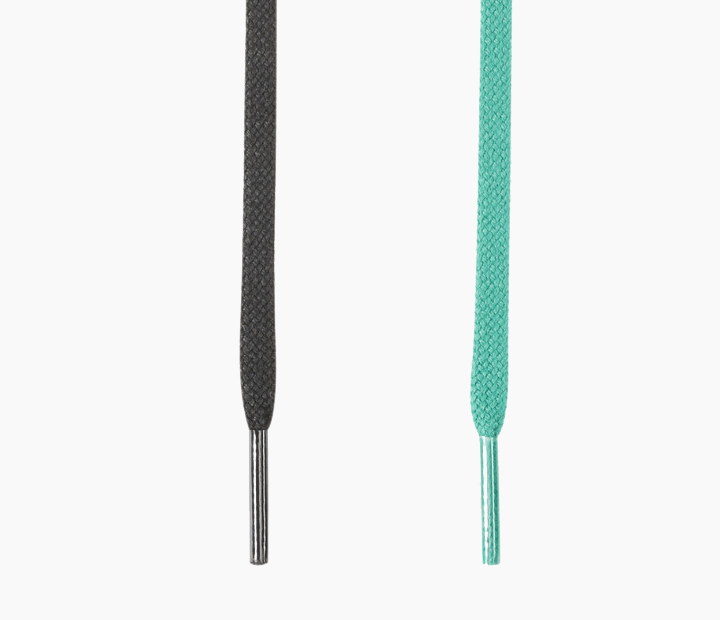 On the conservative side, there’s a subtle grey/black combo but the other two colorways go from red to yellow to turquoise and fuschia to teal to yellow. 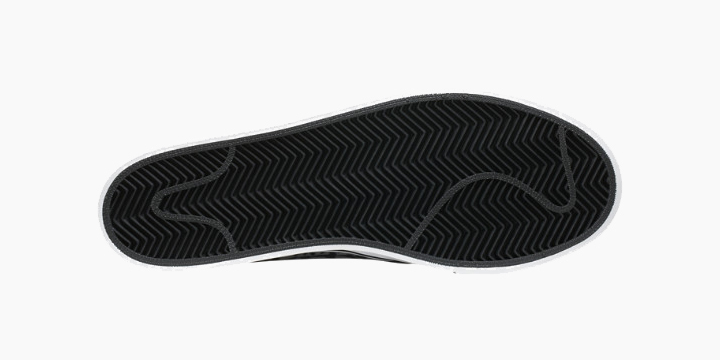 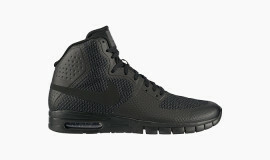 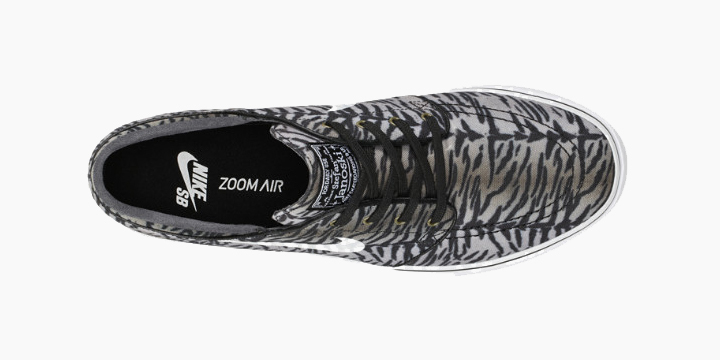 As always, the kicks feature the herringbone style sole and Nike Zoom units in the heel. 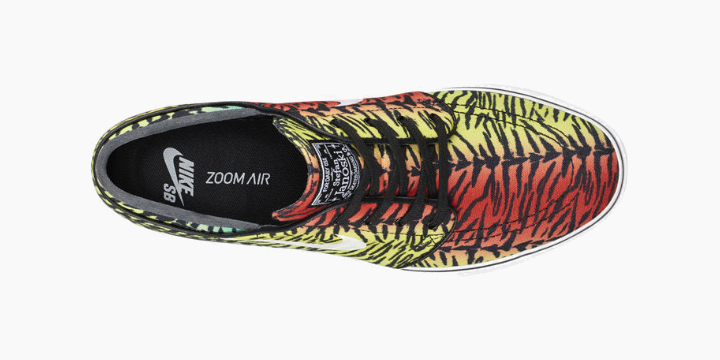 To further customize these joints, a second set of bright laces are also included. 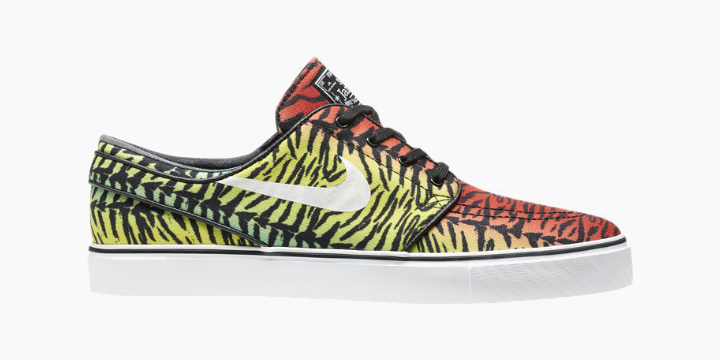 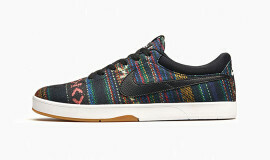 Check them out below and grab yours for $80 from Nike and your local Nike SB dealer.